I have decided to share the top 10 MLM Companies in France. Like anywhere, many French citizens are looking for ways to have financial freedom. Network marketing or MLM as we call it, is an excellent way to make a nice income without having to manage a traditional business. 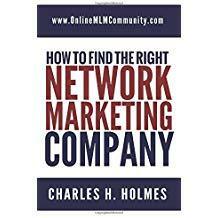 Although there are many benefits to network marketing over a traditional business, it’s still hard work. It’s not for the feint at heart. Anyone who tells you it is fast, free or easy is lying to you! Before I tell you the top 10 MLM Companies in France, let me tell you some facts about this European nation. France is the world’s most popular vacation destination. Over 400 varieties of cheese are made in France. The French army were the first to use camouflage. France is the largest country in Europe. The metric system was invented in France. Now, starting at #10, here are the top 10 MLM Companies in France. Founded in 1969, Natura has spread out internationally and the French love the Brazilian products and have started their own Natura businesses. As a matter of fact, Natura even opened a boutique in Paris in 2005. Vorwerk is an extremely old German direct sales company. Vorwerk was founded in 1883 and are known for high quality appliances and vacuum cleaners. Being a German company, they have a huge following all throughout Europe, and that includes France. Keep in mind that Vorwerk also owns Jafra Cosmetics. Weight loss is a priority all around the world and France is no exception, especially with the great foods served there. Herbalife is known for great weight loss supplements as well as other personal care products. Founded in 1980 by the late Mark Hughes, Herbalife has spread all around the world. There are many Herbalife distributors in France. Yes, there are Avon ladies in France too! The global Avon is headquartered in London and many French people have become Avon representatives. Avon was founded in 1886 and the company manufactures and sells many personal care and beauty products. When Randy Ray and Wendy Lewis found Jeunesse in 2009, who would have thought they would spread all throughout the world in such a short time period? Jeunesse continues their growth and they could move up this list quickly in the next year. Started in 1993 and headquartered in North Carolina, ACN is primarily a service-based MLM company. They began operating in Europe in 1999 and they offer various telecommunications like VOIP, high speed internet, satellite, as well as security systems and more. ACN has a great reputation in France and continues to grow substantially. The unique products that Forever Living Products sells via home based business owners have been a hit in France. Started in 1978 by Rex Maughan, Forever Living Products makes items based with Aloe Vera as well as some products derived from Bees. You will find many French natives using the FLP products. It really is no surprise that NuSkin makes this list. The MLM company founded in 1984 has become one of the leading international MLM companies. NuSkin is known for nutritional supplements and personal care products. The NuSkin name is well known all over France. Founded in 1992, USANA holds its own in the French market. Myron Wentz started this MLM company that manufactures dietary and nutritional products. The company is based in Utah, but has a huge force of independent representatives in France. Can we find a country where Amway doesn’t lead the top list? Very few. And France has a slew of Amway home based business owners. Most of you reading this surely knows that Amway makes and sells a wide variety of products, and many people have found financial freedom via Amway. The company was founded in 1959 and is headquartered in Ada, Michigan. But you will usually have no problem finding an Amway representative no matter where your travels take you. Well, there you have my opinion of the top 10 MLM Companies in France… Do you agree or do you feel other companies should be on this list? Please post all your comments and feedback below. By the way, if you are in France or anywhere for that matter, and would like to try any of the products or possibly become a business owner with one of these MLM companies, you can find the links to their websites in the reference section. Thank you for stopping in and I wish you a great day! Disclaimer: This information is for educational purposes only and we receive no compensation for this review. Have you heard of Arbonne? La Roche bought the company this year. Any rumors of Arbonne coming to France? I didn’t know La Roche bought Arbonne. Thanks for sharing that information with us. Not sure if they are coming to France or not.